Many thanks to Rami Efal, Julia Durgee, Ray Alma and Dan Shefelman for a fabulous night at The Ronald McDonanld House! 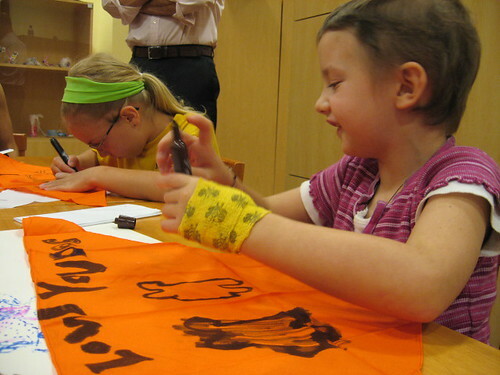 We joined members of the American Society for the Prevention of Cruelty to Animals (ASPCA) in decorating bandanas which will be worn by cats and dogs offered for adoption! Many parents and our hosts wrote to say what a ball everyone had. We did too!